Oh no please, this post is by no means about hiding dead bodies! The purpose of the quote is to demostrate that people rarely ever go to the second page (or further) of Google search results page. Unless they are really desperate for the answer! Ordinarily when someone is searching for something on google they focus their attention on the first page results and will most likely click on the first few listed results. 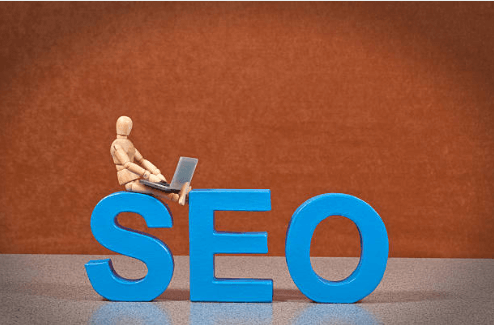 If you are an internet marketer, you should want your web pages to rank higher and appear on the first page of search engine rerults page (SERP). Unless you are using the PPC(Pay Per Click) strategy to promote your website, higher rankings mean your site recieves tonnes of free traffic. That means whatever you are promoting is gettings lots of eyeballs, which massively increases your chances of making a sale. The art or science of having your website rank higher in SERPs may seem complicated for some people but it is amazingly easy. It is called SEO (Search Engine Optimization). I must point out one of the reasons for so much confusion on SEO is due to so many views on how best to approach SEO. Rightly so, because search engines keep improving and changing their algorithms and we have to keep up! Well, if you spare a few minutes to read and then follow my SEO checklist, I can guarantee you that a huge chunk of the SEO confusion will be cleared. Let’s get on with the SEO Checklist For 2019 – What you should do in your SEO efforts. These are the strategies that you implement on your website posts. It all begins with finding the right keywords for your post and for this you need a keyword research tool. Ideal SEO keywords have a high search volume and low competition. Jaaxy – has 2 broad access points: independently – Jaxxy Starter – Free Trial, Jaaxy Pro @ $ 19 pm (Or $16.58 billed yearly) and Jaaxy Enterprise @ $49 pm (Or $41.58 billed yearly). You can also access Jaaxy as a member of Wealthy Affiliate: Starter plan (Free). Jaaxy Lite (Free for Premium Members). Jaaxy Pro and Enterprise are discounted for Members. Supposing you are in the Bodybuilding Niche and you want to write a post on: “How to gain muscles quickly”. That phrase right there is your long tail keyword. “8 scientifically proven tips on how to gain muscle quickly”. This one you write after publishing so that it does not necessarily appear in the post URL. (You need only a well researched Keyword in the URL). Moving on with the example above. Your meta description could go like “Can you really gain mucle mass fast? In this post I give you 8 tips on how to gain muscle quickly”. Supposing you aldready have another article on your website which talks about muscle mass. You can make reference to that post and link back to it for the reader to get more information. Google Bots crawl websites using links. Google will be able to find your posts if they are linked to otherpost on the internet both internally and externally. Pro Tip: Only link to highly relevant posts and if doing so will shed more light to the reader. Not just for the fun of it! You dont your reader’s attention diverted from the real post where you want thier focus the most. Our big brother Google does not fancy “link hoarding”. You have got to link to external sources too. Most preferred are authority sites. The ones already popular like Wikipedia, for example. As a general rule: Linking to other sites is the most important ranking factor than linking to your own pages (internally). Pro Tip: Avoid linking to spam sites. Dont make it a habit to buy backlinks because you dont know the quality of links you will be associating yourself with. There are thousands of scammers that will sell you spammy links. When Google discovers that your links are suspicious it will kill your site. Case closed. The purpose of Alt Tags is to describe the purpose and function of the image on your page. It is a web accessibility principle. Visually impaired people using screen readers will be read an Alt attribute to be able to understand your image. In case the image cannot load, Alt tags will be displayed in its place. Alt tags provide a better image description to search engine crawlers, assisting them to properly index the image. 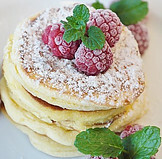 “Pancake, pancakes, best breakfast food, pancake recipe…”. This last example is simply keyword stuffing and it does little to describe the image. Just imagine if you were to close your eyes and ask someone to read to that Alt Tag. Would you make any sense of what the picture is about? No! Google favors fast loading websites not only for excellent user experience but also for web crawlers! Slower page speed means fewer pages on your website will be crawled at a given crawl budget. That negatively impacts your page indexing and ranking. Search engines prefer device compatibility for content. People use different devices to search for information. Therefore, your website theme needs to be compatible for use across an array of devices. Your customers need a safe and secure environment to be able to share their important details without fear they will be intercepted by untrustworthy third parties. If your website can guarantee security, search engines won’t have a problem indexing and ranking it. Basically, share your URLs as widely as possible ( without spamming or inviting spam back to your site!). There you have it a brief but powerful SEO checklist you can implement in 2019 to have your pages ranking top in search engines. Remember. SEO will surely guarantee you long term profits. I hope this checklist helps you. I wish you all the best in your ranking efforts. Please share your thoughts in the comment section below, I would love to hear from you. P.S. You could help someone else by sharing this content! Previous Article Super Affiliate Network Is Legit – But Beware! There Are Spooky Secrets You Must Know!